The life of Edith Pauline Eppinette Steadman will be celebrated by family and friends Monday, March 19 at 2 p.m. with burial following at Old Bethel Cemetery. Pauline was born on May 14, 1936, in Start, La., and entered into her Savior’s presence Friday, March 16, 2108. Among her many wonderful attributes was her hardworking spirit, generosity and her love for family. After working many years for the telephone company, she retired to her greatest joy – being “Momeir” to her nine grandchildren. Next to her relationship with Jesus Christ, her family was her most cherished possession. She is survived by her husband of 50 years, Sam Steadman; her children, Starla Smith and husband Brian of Shreveport, Paula Bottoms and husband Michael of Stonewall, and Samuel Steadman II of DeBerry, Texas. Pauline was a wonderful sister to her siblings, Patsy Eubanks Worthen, Floyd Blaylock, Charles Ray Blaylock, Dennis Blaylock, Jerry Blaylock, Glenda Nichols and Barbara Sue Nichols. Momeir’s nine grandchildren were her greatest source of joy, Micah, Anna Beth, Abigail, Julia, Christian, Joshua, Rebekah, Isabelle and Emma all loved her dearly and were honored to call her Momeir. Pauline was a true servant who lived out Philippians 2:3-4 by serving her church and her Marthaville community. Countless family and friends were recipients of her generous meals that she tirelessly provided for special occasions and for families in time of need. Her sacrificial and loving spirit was an encouragement to those who knew her and were blessed to be called friend. 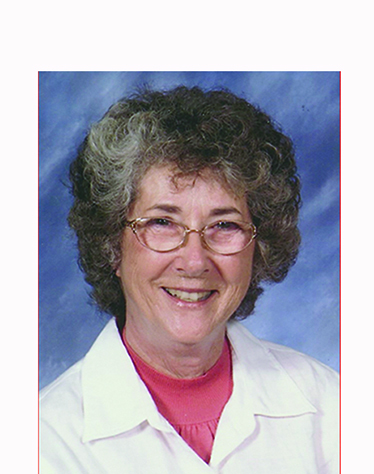 The family would like to extend their heart-felt thanks to Dr. Joseph Jones and the third floor nurses and staff at WKN, CNA Linda Moore, Hospice of Natchitoches, Rashaunda Davis, Novalea Steadman and all the others who provided compassionate care during her final days.